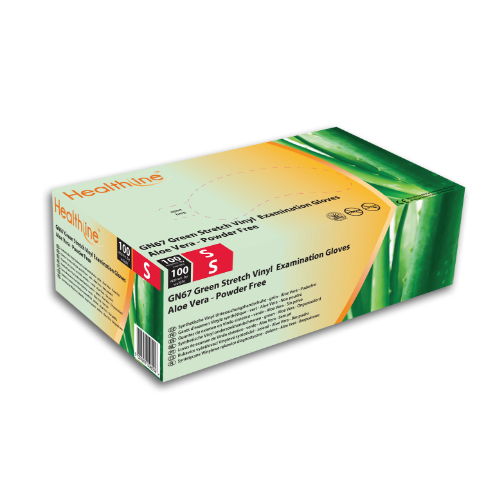 The Healthline GN67 Aloe Vera Powder-Free Synthetic Examination Gloves are stretch vinyl examination gloves that are durable, but also soft and supple for comfortable use. 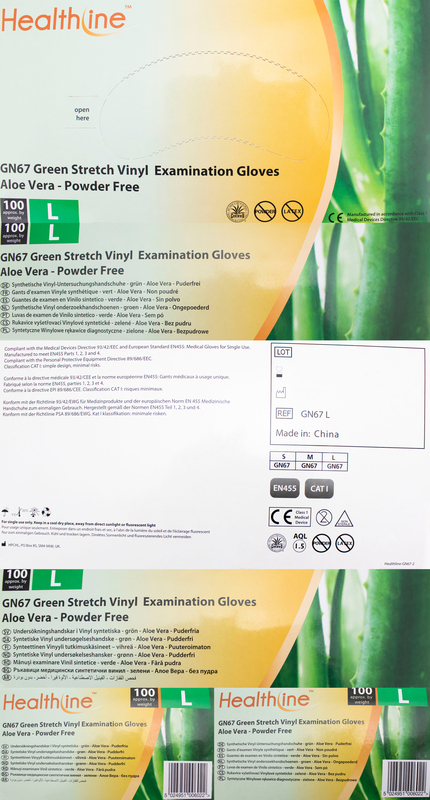 The GN67 Gloves contain an special inner coating of Aloe Vera, which moisturises, hydrates and soothes the user's hands while they work. 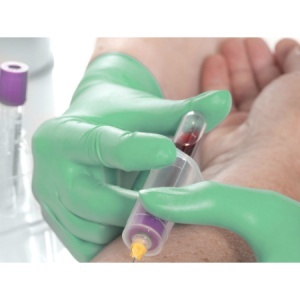 The Healthline GN67 Gloves are manufactured from synthetic emulsion PVC polmer resin, which is durable, soft and flexible. This particular formulation provides a good, natural feel and a comfortable, snug fit, reducing hand fatigue during extended wear. An Aloe Vera coating on the inside of the GN67 Gloves reacts to body heat, moisturising and hydrating the skin to keep hands soft. This coating effectively soothes cracked and chapped hands, providing relief from discomfort caused by dryness. 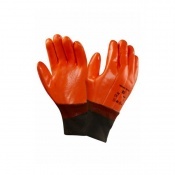 Completely latex free, the GN67 Gloves are safe for use by individuals with latex allergy. 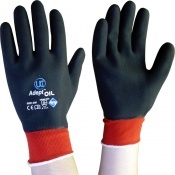 They are also an ideal alternative to nitrile gloves for users with skin that reacts to the trace chemicals found in nitrile products. 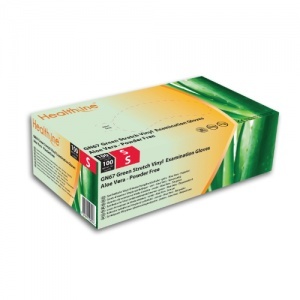 The Healthline GN67 Gloves are available in sizes Small, Medium and Large. 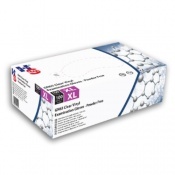 All sizes have a minimum length of 240mm. 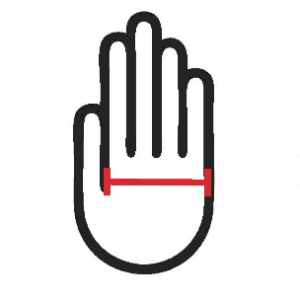 Find the correct size for your hands by measuring your hand across the palm - as shown below - then refer to the sizing chart underneath.